Dental floss is one of the most important tools you can use to help keep your teeth and gums healthy. Flossing works to protect teeth from tooth decay and cavities, while helping to ensure better overall dental health. Floss, typically made from a nylon or plastic material, is designed to remove food and bacterial build-up from the spaces in between your teeth where decay can develop. 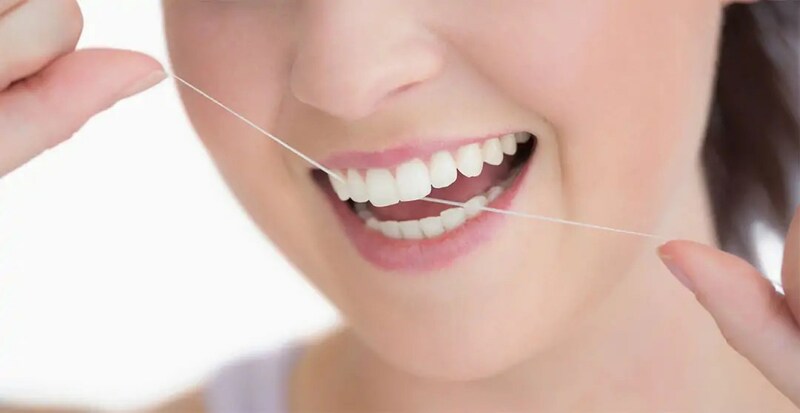 Reducing plaque build-up and bacteria in your mouth with regular flossing also helps to reduce your risk for gum disease. Gum disease, if left untreated, can increase your risk for other serious health issues such as diabetes and heart disease. Fast flossing, while it may remove a stubborn piece of corn stuck between teeth, it’s not the most effective way for a thorough cleaning. Flossing, to be effective, needs to be done correctly and with care. If you’re pressed for time in the morning, then opt to floss at night before bed. If at bedtime you’re just too sleepy, consider a thorough flossing after dinner. Always floss at least once a day. Fact: The original dental floss was invented by a dentist in New Orleans in 1815. Can I Floss with Braces? Yes, you can floss with braces and it’s an essential component to oral health when wearing an orthodontic appliance of any type. Your orthodontist will show you the proper technique for flossing when wearing braces or other orthodontic appliances.